Tutoring supports the learning that takes place at school or home, while also giving each student the opportunity to experience lessons that are entirely dedicated to his or her unique academic level and learning style. If a student needs help keeping up with assignments, homework help can be provided. Assistance can also be provided with learning key mathematical concepts, operations, and applications. Help is provided with school writing assignments. For students who have more significant issues with written expression, tutoring is available with a structured approach to sentence structure, grammar, and the organization of paragraphs and essays. Basic help with handwriting and keyboarding is also available. Homework help in the French language is offered. This type of tutoring works well for students who have difficulty connecting words with meaning or understanding relationships between ideas. 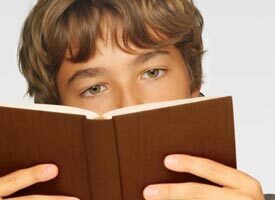 Depending upon the academic needs of each student, it can include systematic vocabulary development, increasing general world knowledge, finding information within text, determining cause and effect relationships, identifying main ideas and summarizing text, making inferences and predictions, following multi-step directions, developing mental imagery while reading and listening, understanding figurative language, and understanding literary devices and conventions. Organizational and test-taking strategies are offered, including ACT prep. Study help is available in many subject areas. Please contact us to find out more. Informal evaluations are administered as an integral part of tutoring services. They assist in determining the specific skills that a student already knows, and help set an appropriate starting point for tutoring. They can also provide an objective way to measure student progress.